Mary is a tilapia farmer in Brazil. Through her articles, she shares insights and tips to make your farm more profitable. If you're raising fish either commercially or for your own consumption, one thing which may not have crossed your mind is the security of your fish. 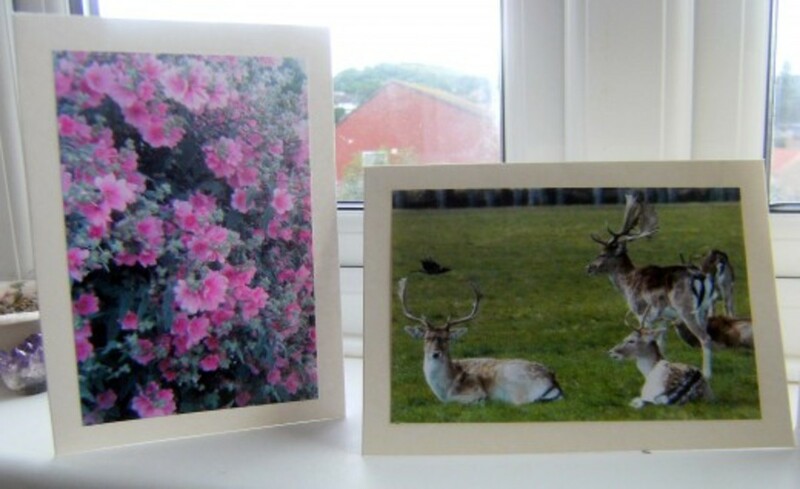 Often these will be raised outdoors making use of the natural wind and sunlight. This however also leaves you open to potential fish thieves. If you are farming commercially, you'll have several thousand dollars worth of stock, and it is important you take precautions. I would like to discuss what we did to counteract this when we realized we had a problem with a thief. These people don't see themselves as the same type of thief who would rob you in your home with a gun. Don't be fooled, a thief is a thief. If your fish are your livelihood, you need to take steps to protect them. The steps you take will be dependent on your setup. If the lake is within your property boundaries the most obvious way is to fence it. We have used several kilometers of barbed wire on concrete stacks. If someone is coming in they will have to bring wire cutters to cut the barbed wire. If you live in a humid area or near the sea, buy the best quality you can otherwise your wire will rust quickly. Keep the land cleared so you have a clear view and no one has a place to hide. This was a mistake we made as we planted reeds along the edge of the lake and this gave someone a perfect place to hide. 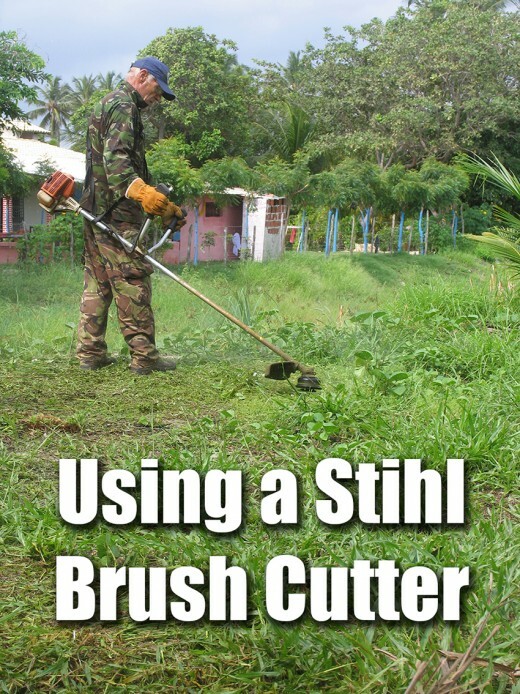 Using a strimmer/ weed whacker, keep any grass and bushes low. If you have trees you wish to keep, trim the branches so you have a clear view to the farthest corners of your property. The most likely time people will steal will be at night when you're asleep. Painting the trunks of the trees white will show off any movement. If for example, someone passes in front, you will see a shadow. Get a powerful flashlight such as a Maglite so you can see to all corners of your land and across the lakes. We love our Maglite flashlights and have three here on our farm. This not only helps us scan for fish thieves but also was used in a robbery at our home. My husband hit one of the thieves on the side of the head with it opening a big gash above his eye. When we use our flashlight it starts the neighborhood dogs barking which also deters thieves. If they know they will be seen, they won't come in. Let me start by saying we had two mongrel dogs. What happened though is our thief would bring bones, or even containers of margarine to keep the dogs quiet. Although we saw signs of trash, we assumed it had blown in from somewhere. It is also known that people will throw poisoned meat for dogs, to take them out of the equation. This, however, would alert the owner and make them more vigilant. 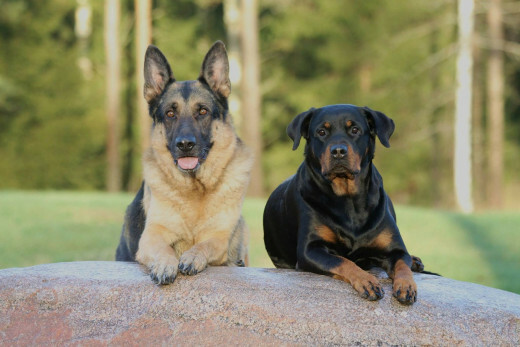 I would suggest a large breed or a dog which is perceived as aggressive such as a Doberman, Rottweiler, German Shepherd or a Pit Bull. Make sure you get signs up on your gate to warn people. Here in Brazil, signs are mandatory on your gate if you have certain breeds. However, if someone enters your grounds, even if it is via another way and the dog attacks them, you have no legal problems. If your fish are free swimming in a lake, it will be necessary for a thief to net them. A common practice here is to get branches and submerge them in your lake. Anyone who tries to use a net will get snagged on these and will have to leave empty handed and usually without their net. The branches can be easily removed before you net. In the picture above, you can just see the tops of the submerged branches we have put in place. If your fish are in cages in a lake, tie the lids down. This won't impede feeding as the pellets can still be thrown in. Daily inspection of the cages will also tell you if anyone has been tampering. It is important to check not just the top but below as well for potential openings. In some areas in Asia, people will sleep on a platform on the water to ensure the safety of their fish. This with the aid of a dog to alert you is a sensible precaution. Geese are another excellent precaution which can be included in your security plans. They do not like strangers in the day or night and are quick to raise the alarm. The problem with geese is, they will eat the fish pellets. If they are penned during fish feeding times, this wouldn't occur. Obviously live fish have to be sold quickly. The thief then has to have a market ready. Our thief came on Friday night so he could sell them the following day to local stores or in the next town. Our thief carried away approximately 40 kilos each time. These he tied on his bicycle which he left parked outside the fence. The other option is a truck with ice, which could, in essence, take all your fish in a very short space of time. If your concrete stacks are close together then your gate needs also to be secure. We have a metal bollard to prevent someone ram raiding our gate. We also have neighbors on two sides who would raise the alarm and the police would arrive. Thieves don't like lights so this is a good idea. These can be flood lights or motion detector lights. Angle these over the water and the surrounding area. Plus another added bonus of lights is the insects it brings. These fall into the water and then are consumed by the tilapia . Setting up an infrared beam around the perimeter of either your property or your lake or tanks. An alarm will sound if the line is broken. This needs to be set at a height which is higher than your dogs. Be warned though owls and bats could set this off if they fly through the beam. Security Cameras can also be installed. You must check that they can film in 0 lux. This means they can still be used in the dark. If people know that you are armed and willing to do what it takes to protect your investment, you may never have a problem. Check the regulations for the area you live in and see what options are available to you as a land owner. Depending on the quantity of fish, and your budget, consider a security guard. This could be an armed man or a man and a dog. Or simply someone who is a presence will often avert a problem. Although we didn't employ a security guard there are local shrimp farms which have several men patrolling at night. Yes it is true, lights and noise are two things thieves don't like. Sorry you lost some of your fish. People can be selfish and greedy. I can see how geese would help deter a thief through their honking and aggressive behavior. Unfortunately this is a subject we have first hand knowledge about. Anything which has value is fair game as far as thieves are concerned. I've come to expect some interesting reads from you. This fulfills my expectations. Never even thought of fish stealers. I like that you know so many details about your topic, for example: "Plus another added bonus of lights is the insects it brings." I learn much from you. Anyone who has ever been chased by geese will tell you, how frightening and noisy they can be. I know a swan can break a person's bones so I would think a goose is also capable of it. 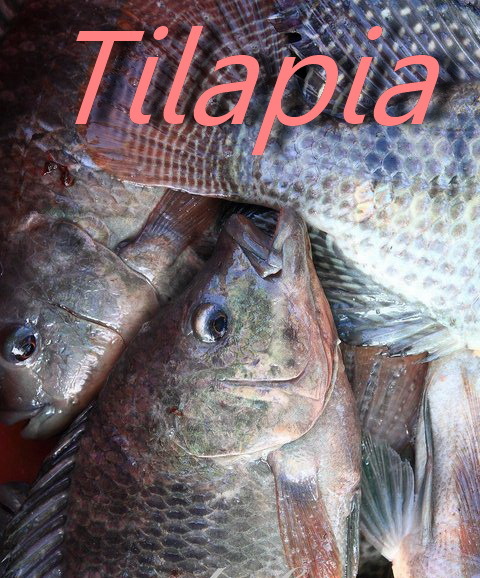 Never knew there were tilapia thieves. I love the idea of geese as guards. 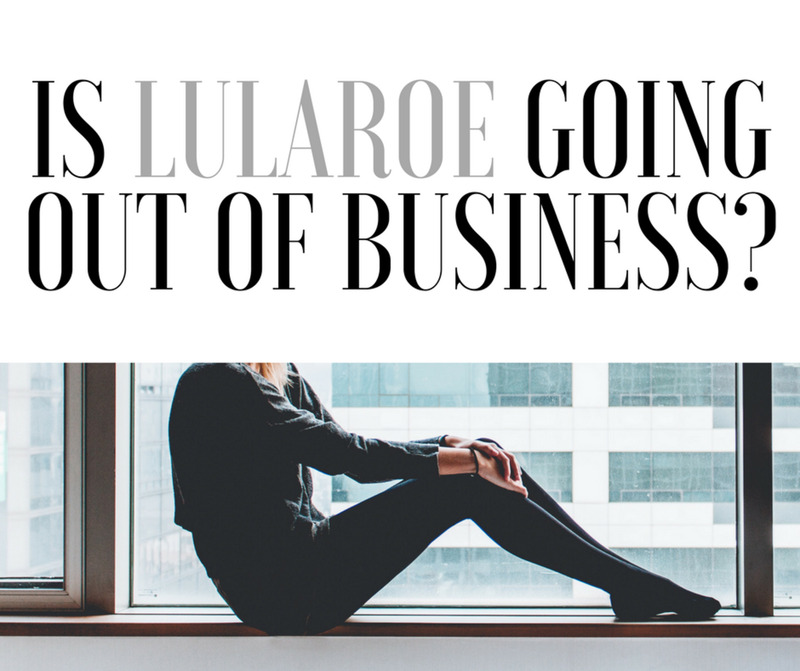 Very informative hub! Thanks for the votes, I am pleased you found it interesting. It is just another problem farmers of all livestock are faced with. That is true, thieves see this as money in their pocket. If left undetected he would have had several thousand dollars worth of fish away. 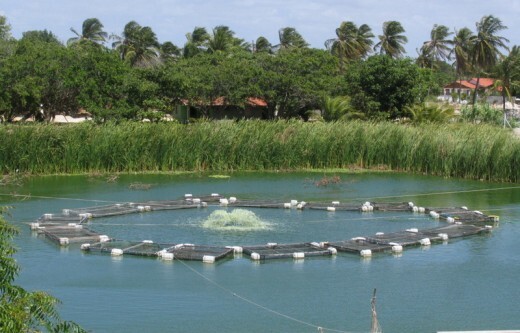 Interesting article which provides much insight on how to protect one's investment in fish farming! It's amazing what people will steal. Virtually anything unguarded that is considered valuable is vulnerable.